Burdick Brewery IS OPEN in South Park, damn it! July 26, 2017 Kendall Jones Comments Off on Burdick Brewery IS OPEN in South Park, damn it! 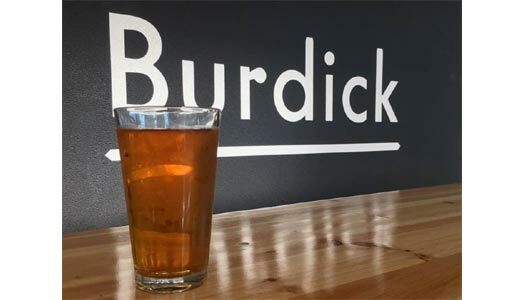 Burdick Brewery’s new taproom is now open in South Park. Again. You might remember that a while back, last year sometime, Burdick Brewery and Lowercase Brewing, which were both in the same building in South Park, had to shut down their taprooms. The city unexpectedly decided the building wasn’t fit for such public spaces. Well, a while later Lowercase Brewing opened a new taproom away from the brewery, in Georgetown, and Burdick Brewery promised to open a new taproom at some future date. That date came last month, in June. And then, last week, some vandals broke all the windows at the new Burdick Brewery taproom. Bastards! Max Leinbach, the owner, had to shut the place down until the massive repairs could be made. Today, July 26th, the Burdick Brewery taproom is open once again. This time let’s hope that the vandals leave them (and other local businesses) alone. Bastards. Get down there and show your support. Check the Facebook page for business hours.